Today we commence the Record to Report stream, commonly known as R2R. In the initial stages we had given a list of processes that normally comprise of the R2R stream. R2R is a vast subject and depending on your client’s / principal’s needs, can take large proportions of an outsourcing engagement. As the processes mature, “Record to Report” or “R2R” is considered for outsourcing or moving to the back office. Although in my initial listing, I had shown reconciliations separately, however, since it affects multiple functions, depending on the function it can be classified differently. Here now the level of complexity of the function starts increasing. The need for people who have subject knowledge is felt. Commerce graduates, people doing Chartered Accountancy / CPA, finance specializations and majors or those who have completed these qualifications come in vogue. We will continue with this list in the next post as well. I am yet to come across some dedicated site for the R2R function, like P2P or O2C. Most of the sites which have some content on this function are from various outsourcers, from Oracle, SAP and other ERP vendors. 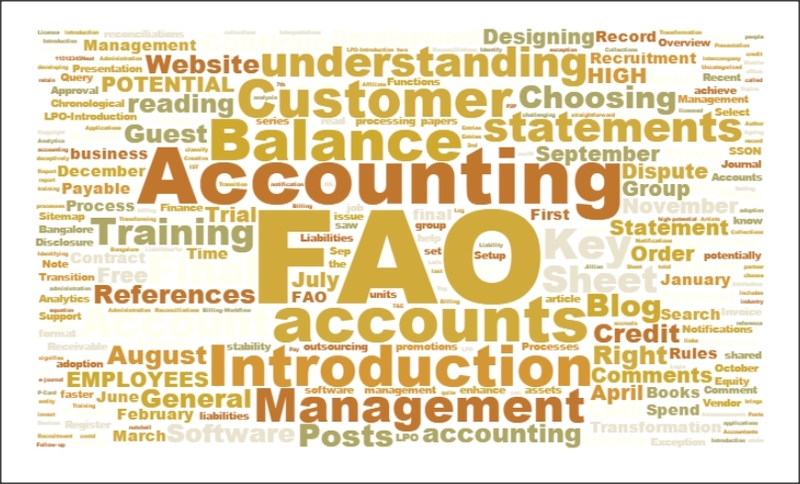 The documentation of these ERP solutions are a good source of information, used by the accounting departments.